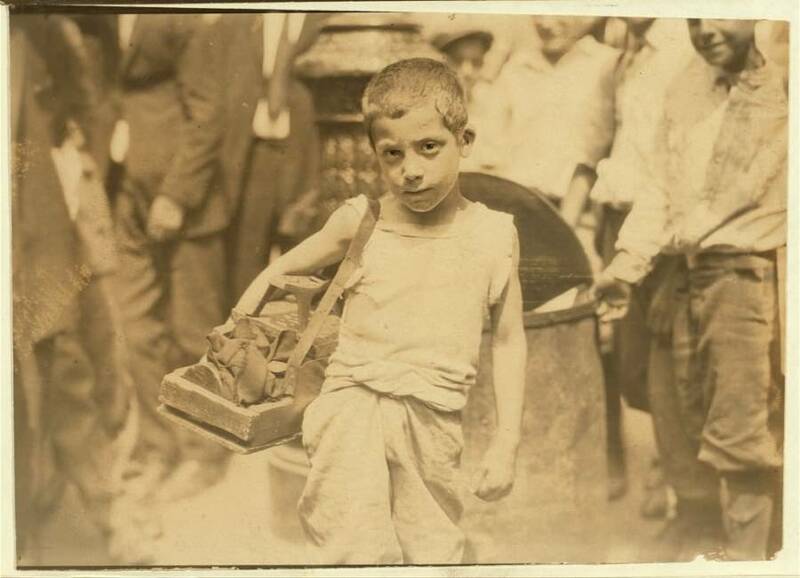 In 1908, former New York City elementary school teacher Lewis Hine became an investigator and photographer for the National Child Labor Committee (NCLC), an organization dedicated to "promoting the rights, awareness, dignity, well-being and education of children and youth as they relate to work and working." 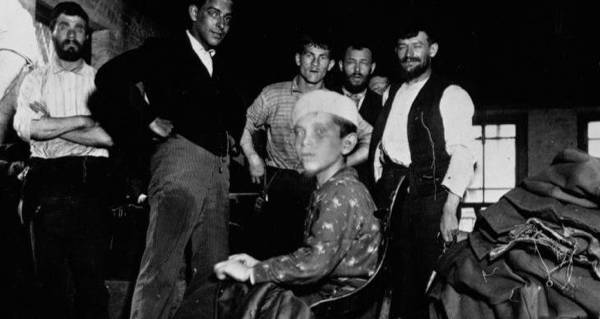 Hine then traveled the country for decades documenting child labor conditions in factories, while also hitting the streets, alleys, and tenements of New York City, photographing young newsies, gum vendors, bowling alley "pin boys," messengers, and others forced into work by the absence of any meaningful child labor laws. 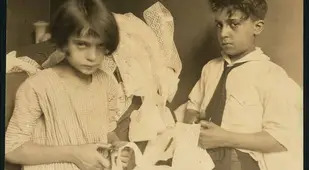 At the turn of the century, photography's status, as historian Sarah E. Chinn noted in Inventing Modern Adolescence, was "powerfully linked to the belief that photographs were, in essence, truthful." 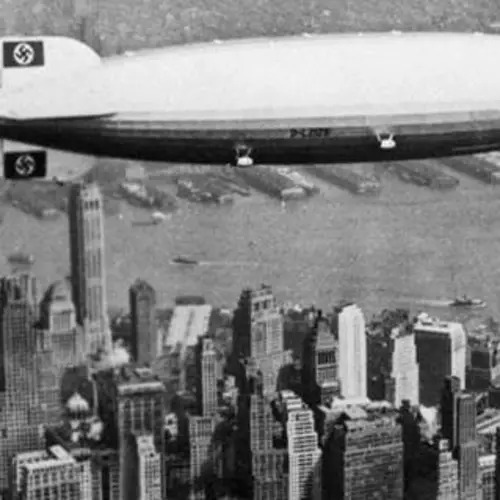 Hine believed that a good photograph was simply a "reproduction of impressions made upon the photographer which he desires to repeat to others." 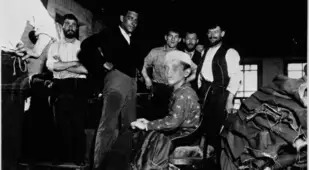 So it was with this backdrop, and this mindset, that Hine set out to saturate the American consciousness with photos of children and families at work in deplorable conditions. 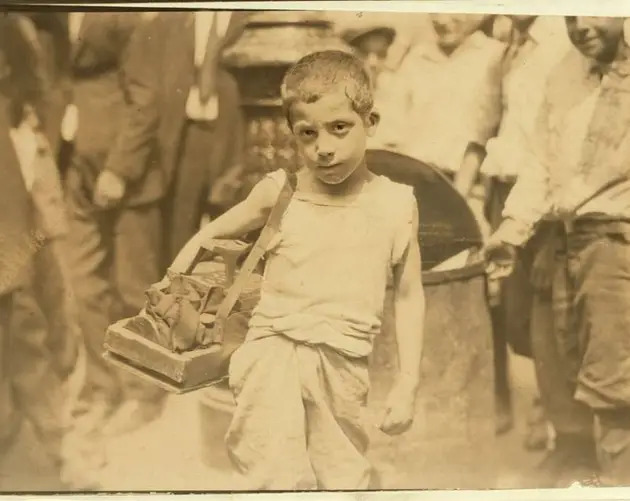 He wanted to make people "so sick and tired of the whole business that when the time for action comes, child-labor pictures will be records of the past." 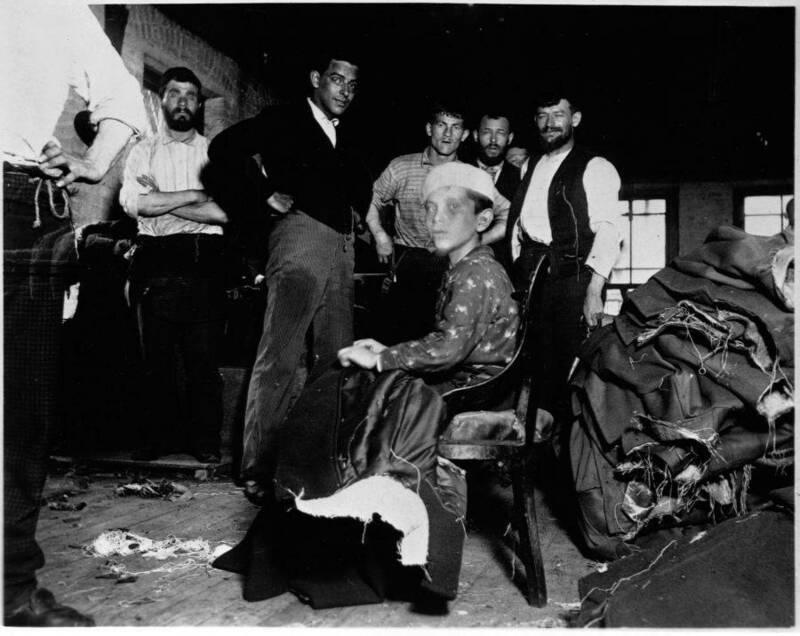 While many of Hine's most famous photographs depict bootblacks and newsies plying their trades on the streets, a subset of his work depicts New York City families engaged in so-called "homework," in which they brought unfinished work back to their apartments from the factories. 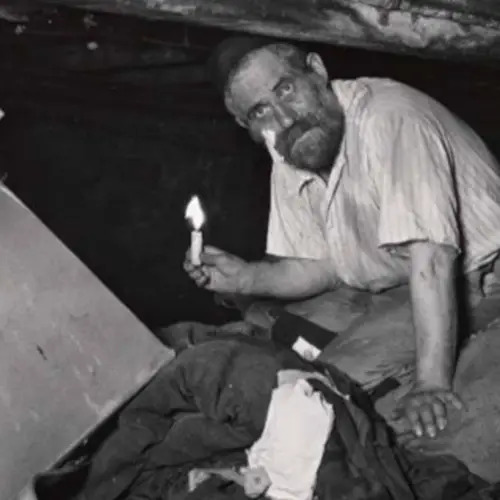 "In most tenements, there was only one room that had access to outside air, leaving the interior rooms dark and unventilated. Overcrowding, neglect on the part of the owners, and violation of the simplest rules of sanitation by the tenants, together with the design of the building, created serious hygienic problems." Striving for total authenticity, Hine made "double-sure" that his "photo data was 100% pure -- no retouching or fakery of any kind." 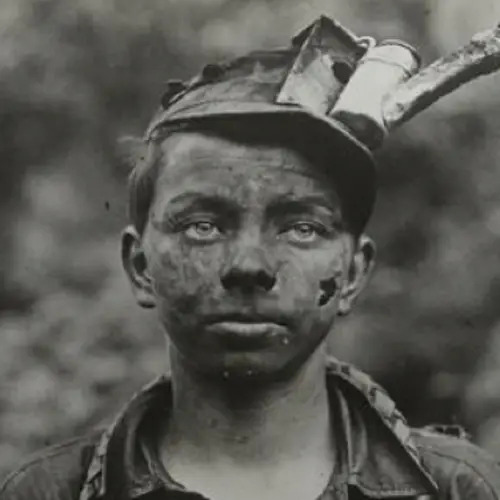 The powerful results, as Chinn notes, "contrast the bourgeois ideal of the child as an ahistorical creature with the reality of the working child, whose very existence was determined by historical and economic realities." The gallery above features a sampling of Hine's New York City work, along with that of a few of like-minded contemporaries. 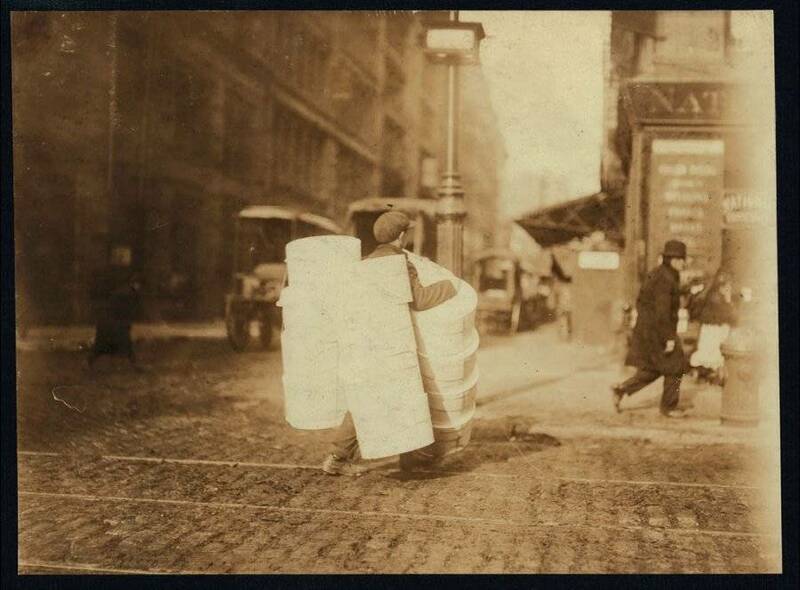 These photos represent an effort to combat, as Hine saw it, the "great social peril" of "darkness and ignorance" with "light in floods": "The dictum, then of the social worker is 'Let there be light;' and in this campaign for light we have for our advance agent, the light writer -- the photograph." 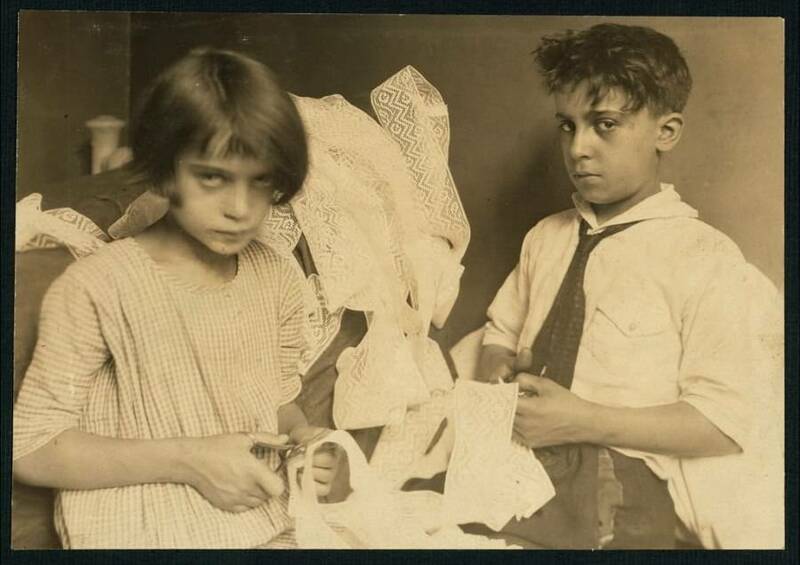 Next, have a look at Lewis Hine's shocking child labor photos, both in New York City and beyond. 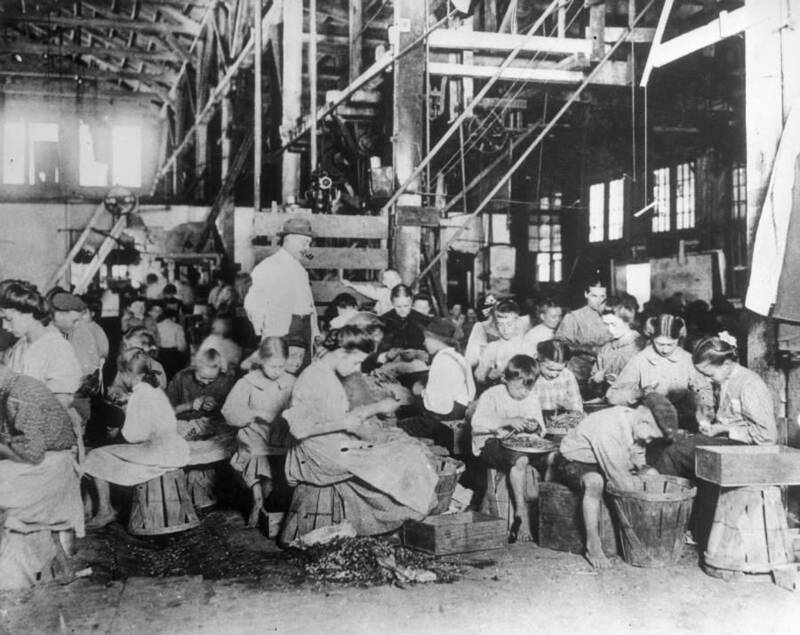 Then, see photos of the bloody battle for fair working conditions in the U.S.